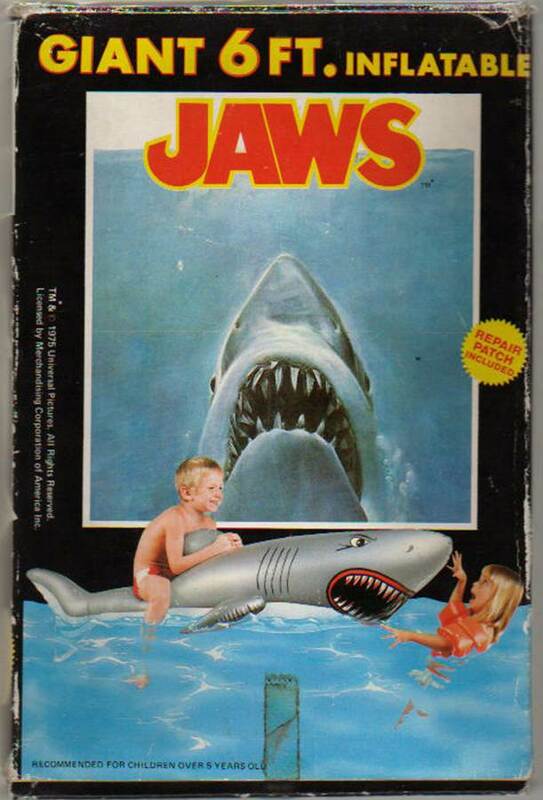 Because we weren’t terrified enough of entering any and all bodies of water after Jaws came out. Look at the girl’s face. And look at the blood on the shark’s gums and teeth! Recommended for children over 5 years old! Stupendous. Outrageous. One of the tastiest morsels of pop culture licensing I’ve ever seen. We must find one. OMG it’s absolutely perfect! Never saw it before. That little girl is gonna be scarred for life. If I had had this when I was a kid, I wouldn’t have been able to be in the pool with it! Can you believe it? Weekend = made. My wife is going to have no idea why I’m so happy. It does make you wonder: Is the Repair Patch for the shark, or it’s victim? LoL. Michael J. folks, every Saturday. Don’t forget to tip your servers.